Create and sell pre-configured product bundles and discounted combos. Sell like a boss!! 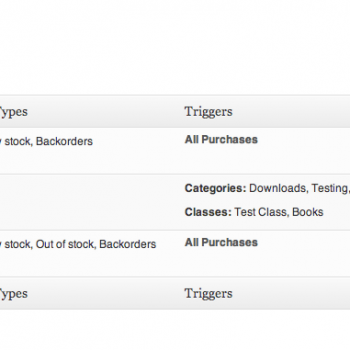 Instantly download the WooCommerce Chained Products extension at a large discount, with 1 year of updates. No coupon code required, just “Add to cart”! ou are losing 40% sales if you are not selling product combos and bundles yet. Offering a bundle of your products at a lucrative discount is the easiest method to great sales in any store – and research has proven this across a variety of businesses – physical products, digital downloads or memberships. We have all picked up discounted bundles of products when we go grocery shopping. Even when we don’t want them; we have either bought bigger quantities or multiple product bundles. It’s time you start upping your profits by offering irresistible pre-configured product bundles! There is certainly the “more bang for the buck” aspect. But chained product bundles also provide “works great with” and “get add ons for free with main product” cross sell opportunities. They trigger fundamental human behavior to select an item with higher perceived value. 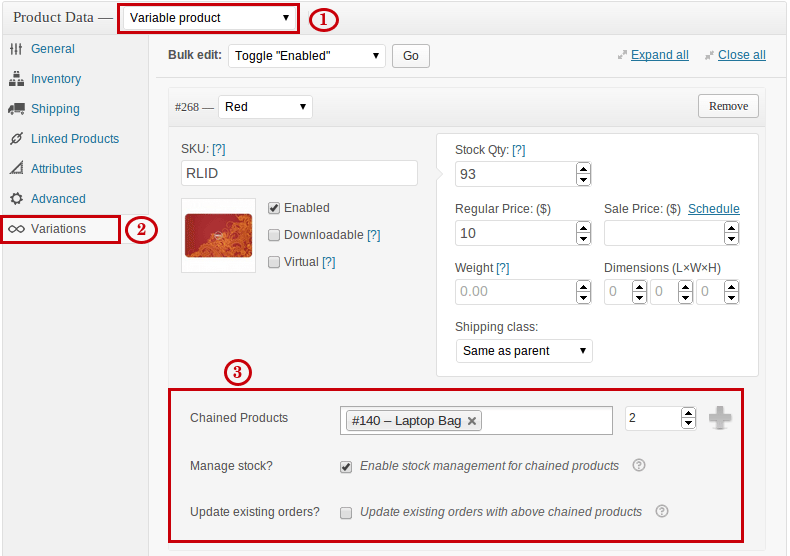 When people add the main product to cart, cart will show main product and all linked products. But only the main product will have a price. Rest items will show “$0″ as their price. Combine a few high value, relevant products together and sell them at a big discount. 15-20% works well for physical products. Go 35% for digital downloads. Encourage people to buy more. Create a bundle of 5 quantities of an item at a great bargain. Your customers will surely grab them all! Create a bundle of smaller, but highly useful products for someone who’s buying your main product. Or a higher priced bundle that includes a “pro” version of this product with some additional goodies. Create a chained product bundle of high profit items and show them on the My Account page with the chained product shortcode. This is a superb upsell. Don’t tell people you’d give them something extra, but go ahead and give them an unexpected gift on product purchase. Then follow it up with another bundle / offer. The surprise will create reciprocity and prompt them to return the “favor”! A graphical representation of “so many things you get in this combo” creates a much better sensory appeal. Make sure to position this graphic at strategic locations in the funnel to increase conversions. Everyone’s happy with Chained Products! Don’t wait longer, buy it and start growing your sales! Be the first to review “WooCommerce Chained Products” Click here to cancel reply.